A perky bird, the tufted Titmouse is very active and agile. 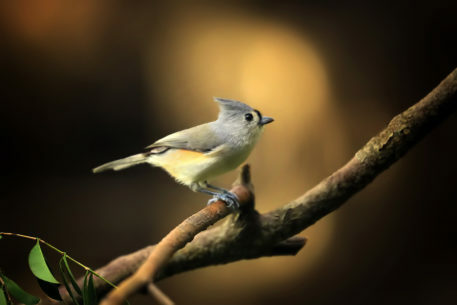 The most telling part of the Tufted Titmouse is its namesake – the pointed tuft of feathers that juts from the back of the bird’s head. This tuft gives them a cheery appearance and makes them a welcome sight.